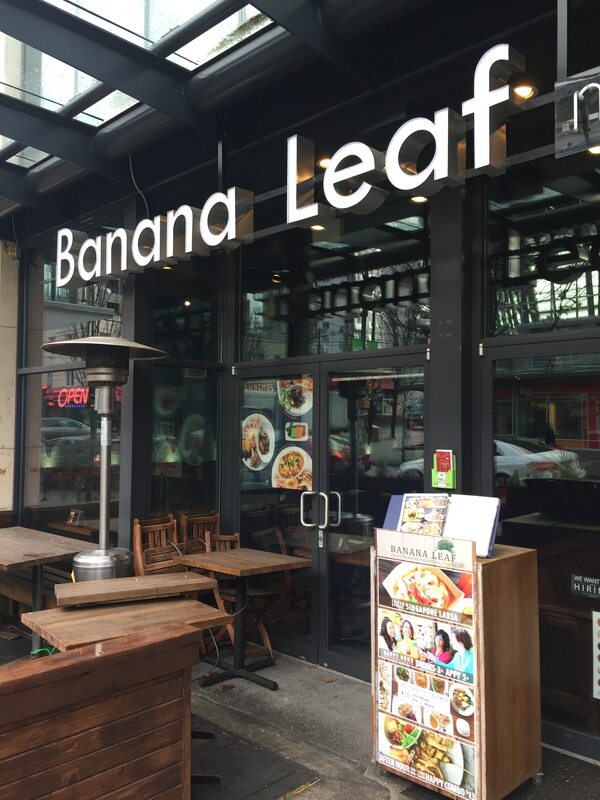 Tried to visit the ramen shop nearby but closed on Wednesday: Banana Leaf. This is a chain of Malaysian restaurants and this one was close by so we decided to give it a try. 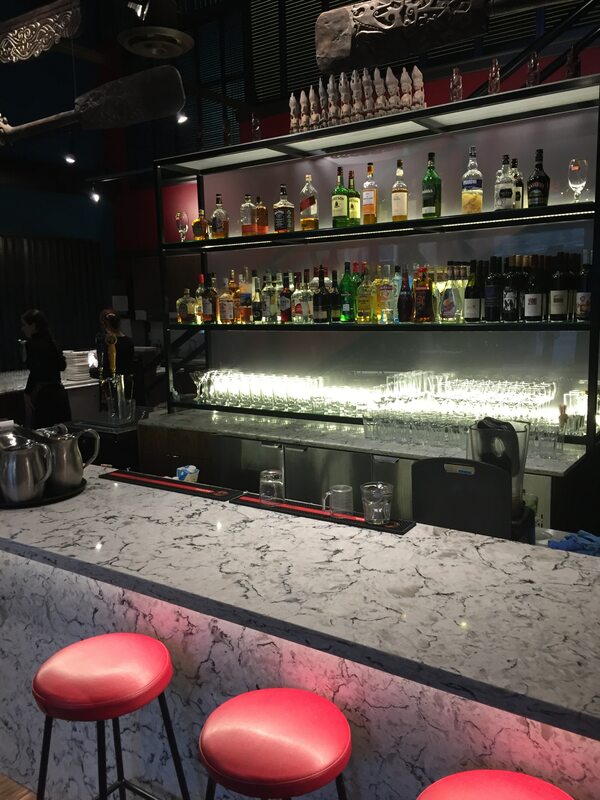 The space is inviting with a separate bar. 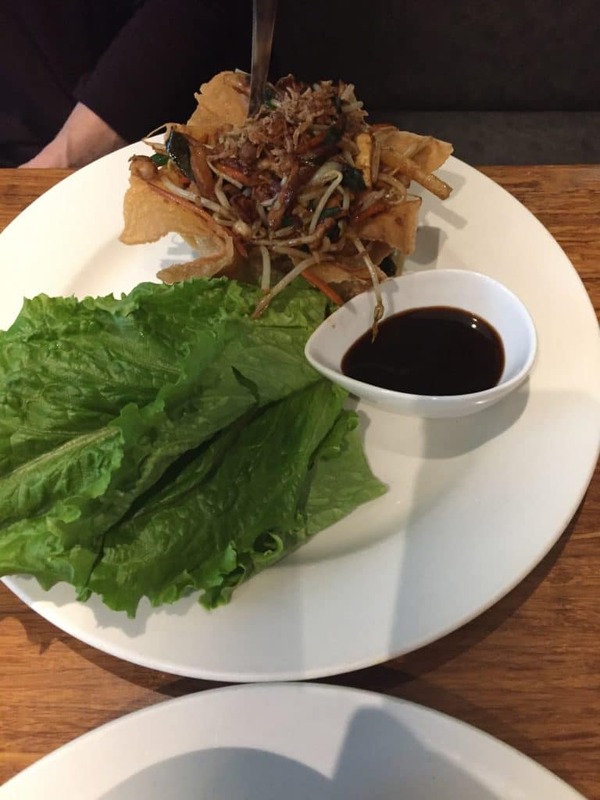 The menu is extensive with offerings from vegetarian to seafood to chicken and beef. 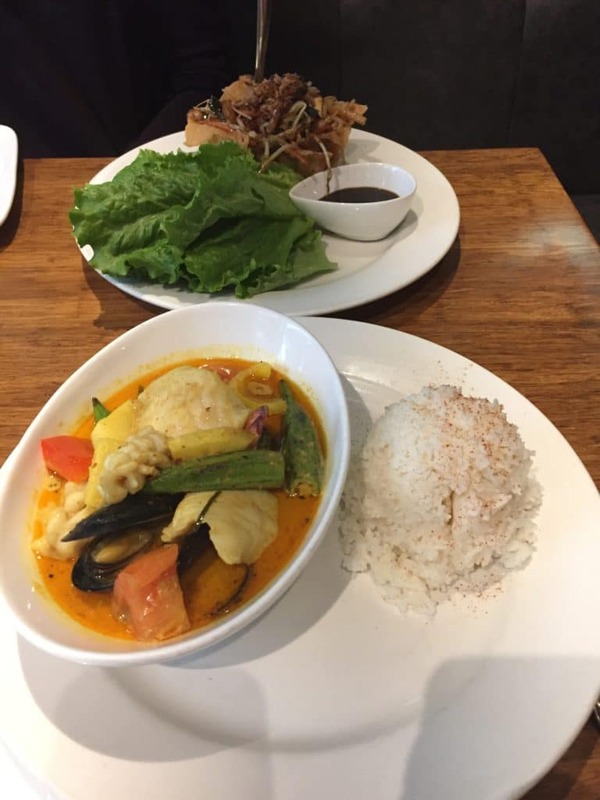 Our lunch special was lettuce wraps…think a milder form of the Thai offering and a gulai seafood….curry based seafood stew with rice. 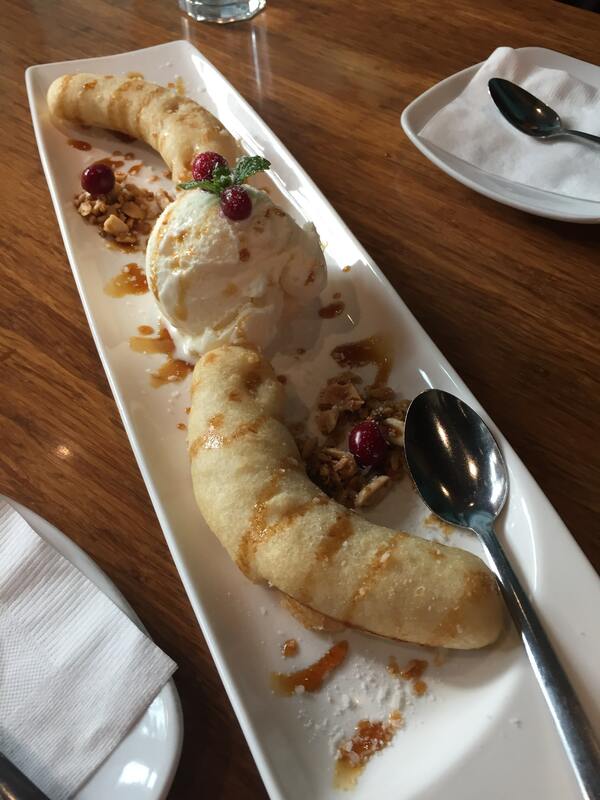 Had to have the pisang goreng….fried banana with vanilla ice cream which was light despite being fried.